From Plasterboard to metal stud wall systems SelfBuild Supplies offer all the materials you need for your job, making us a one stop drylining shop. We can supply British Gypsum, Knauf and Siniat materials, Thistle plasters, metal beads and arches, a complete plasterboard range and much more. 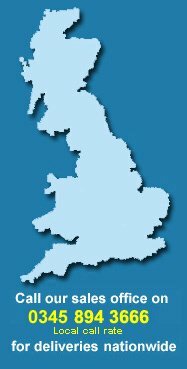 All materials are stored in purpose built facilities and are available for delivery from over 250 locations throughout the country. 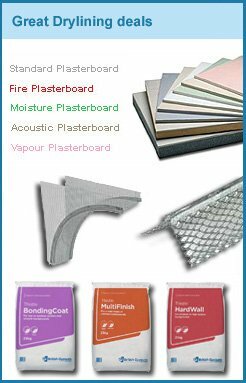 We can supply plasterboard in large and small quantities and offer great discounts on bulk purchases. Our friendly sales team all have many years of experience and are happy to offer quotations along with help and advice on product selection. See our contact page to get in touch.